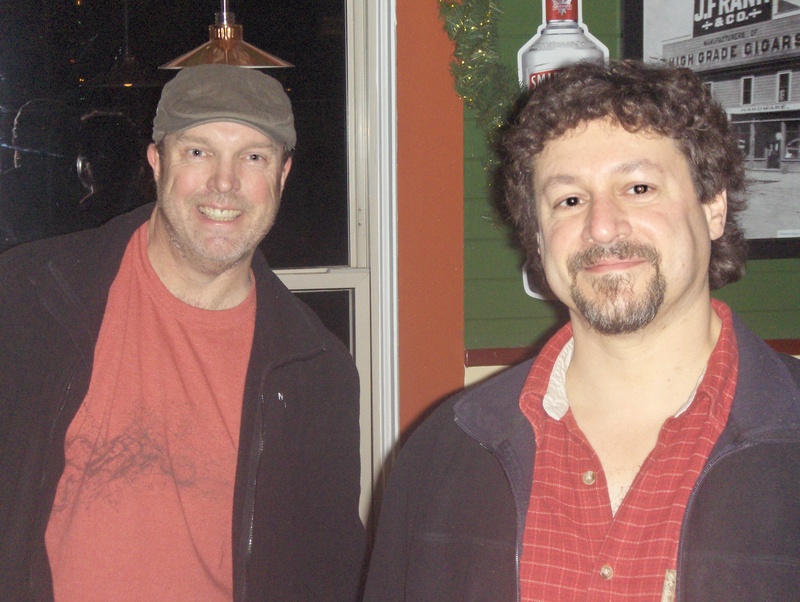 Saturday night’s return to the Hawthorne Hophouse was a jam-packed evening for a packed house. We managed to squeeze a little more talent into our tiny corner of the room when John Stocks helped us close out the first set on harmonica and percussion, then strapped on his axe for an adventurous second set. Mystic Canyon and the Hawthorne Hophouse have created a tasty recipe for a fun Saturday night in SE Portland. Finely crafted acoustic music, a wide variety of flavorful local brews and perhaps the most delicious macaroni and cheese this blogger has ever tasted. Here’s what we played for a full house of appreciative hopheads. Follow the links to our YouTube page to check out some audience video shot on an HD flipcam. The Canyon Wants You in 2011! It seems, whether we are playing together all year or just gigging occasionally, we’re always booked throughout the month of September. Even when we miss Squidstock, there’s never a shortage of opportunities to jam. This year was no different, as there was plenty of work for us after Labor Day weekend. First, there was our annual set in Vancouver’s Esther Short Park for the Peace & Justice Fair. On a day that started out grey everywhere else, the sun shone bright on our old Vantucky home. We were not so fortunate the next weekend, as torrential rains dampened all but our spirits as we huddled beneath a canopy and played a neighborhood block party in Vancouver. Hobos With Glowsticks and Fading Hail shared this strange, wet evening with us, and many soaked revellers stuck around so we played as long as we could. Our perserverance was karmically rewarded the following Saturday, as we had the loveliest weather possible for an outdoor wedding reception at Plainfield’s in SW Portland. It was a pleasure playing for Willy & Louise and their family, and we even accompanied Willy on a song he wrote for his new bride – some of us are still humming it! Mystic Canyon wraps up another busy September with our final Last Thursday performance of the year. We’re staking out our spot at the corner of NE 30th and Alberta as soon as they shut down that part of the street. Don’t miss your last chance to dance in the street with us before we head back indoors for some Autumn gigs. 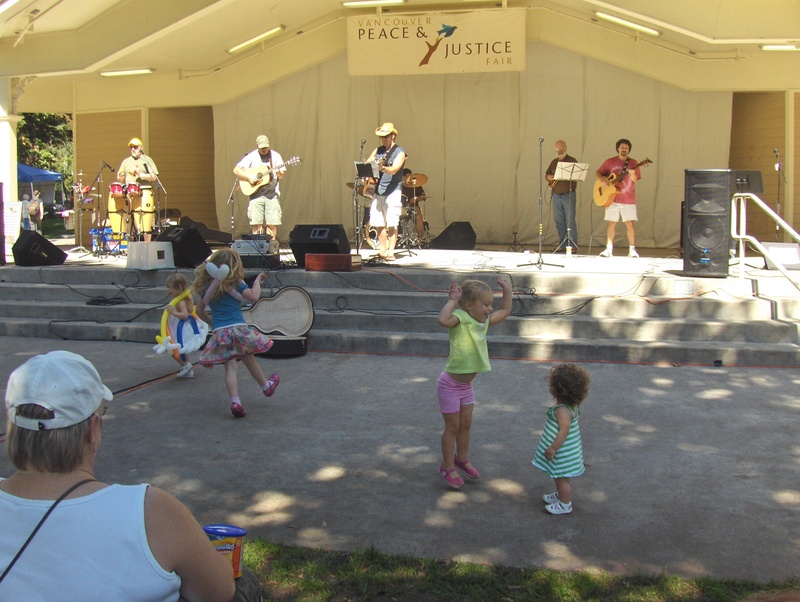 This Saturday, September 11, 2010, Mystic Canyon is pleased to be making our sixth appearance at the Vancouver Peace & Justice Fair. Beautiful, downtown Esther Short Park is once again the home of this important and informative community event. We will be the centerpiece of a full day of music, dance, spoken word and theatrical performances. Join us at the Esther Short bandshell at Noon for a 2-hour set of original, traditional and contemporary acoustic music. It’s rare we get to play a stage this big, so we intend to take advantage of the extra room by introducing a new incarnation of the 7-headed beast. 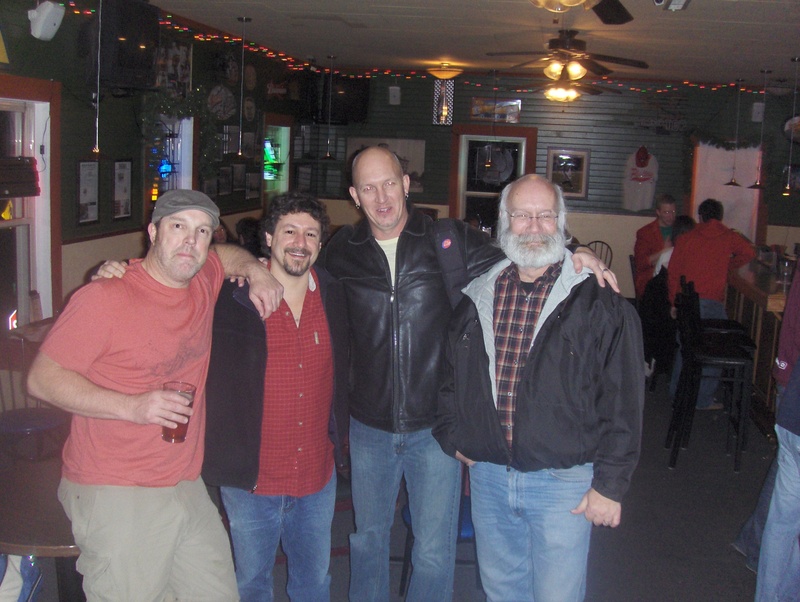 We’re excited to welcome our old friend Les Hutchinson on drums and our newest co-conspirator, John Stocks from the Bum Ditty String Band on guitar. There’s plenty of fun stuff for the kids, so bring the whole family out for a memorable day in the park. 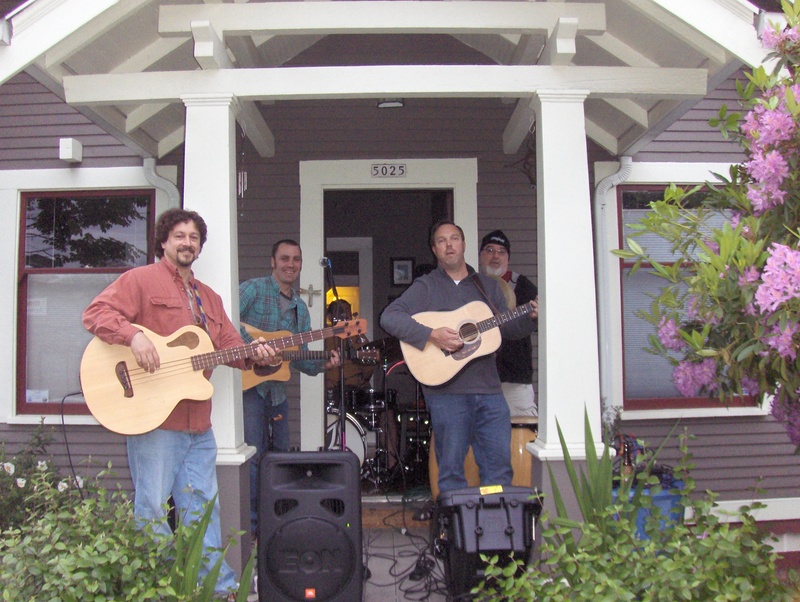 Mystic Canyon is excited to be back on the street. NE Alberta St., that is, where we will set up at the corner of NE 30th and play some music for free (although we wouldn’t say no to a buck or two in the tip jar.) Come for the art, stay for the jams and boogie ’til the sun goes down. Last time it was a house party. This time, we take it to the streets! 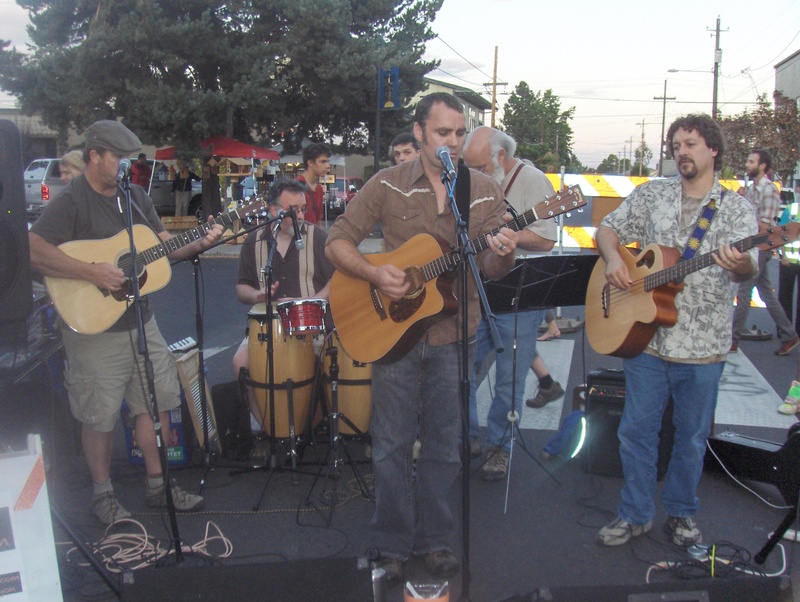 We’re starting to book September and beyond, so check back here at the Mystic Canyon Blog for our upcoming gig schedule, including our 7th appearance at the Vancouver Peace & Justice Fair on September 11. 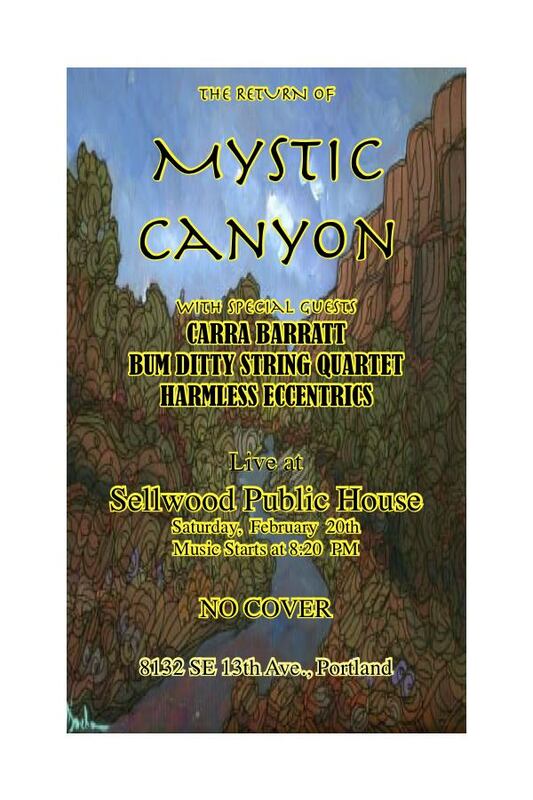 After four months of spreading out into other projects, Mystic Canyon returned to the Sellwood Public House this past Saturday night, bringing our new projects with us to form an expanded family of diverse acoustic entertainment. The evening flowed beautifully and reached a rowdy peak well past midnight. We look forward to doing it again as soon as possible. The show opened with the Portland debut of the Harmless Eccentrics. Playing for a full room, Scott, Mike and Ed managed to keep nerves and flubs to a barely noticed minimum and let the harmonies shine. 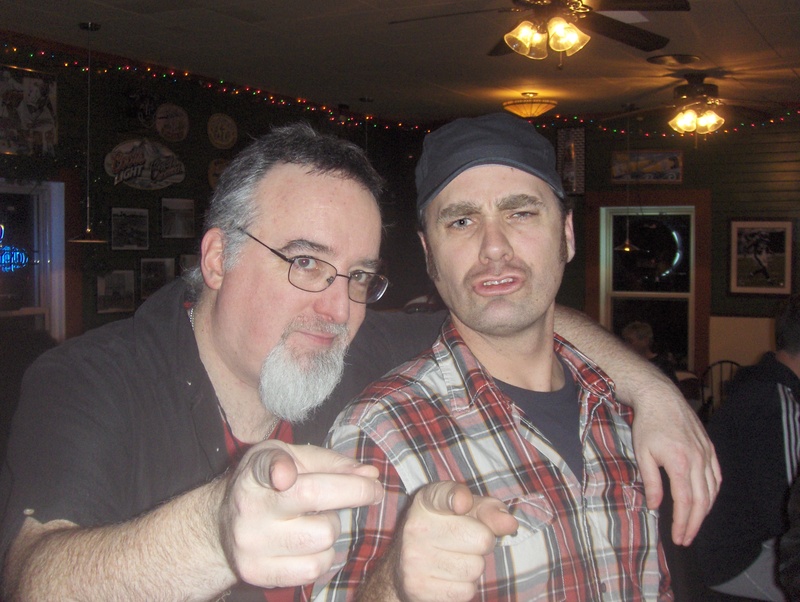 Scott and Ed left the crowd wanting more as they traded licks and teased Crazy Fingers before closing the set. Americana singer/songwriter Carra Barratt followed with a beautiful set, accompanied expertly by John Stocks on guitars. We’re glad Carra could be a part of this memorable night. 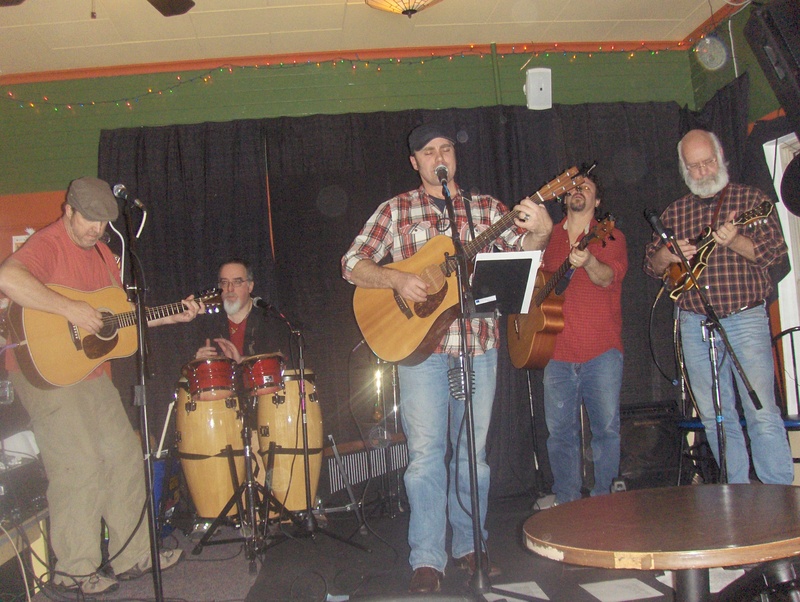 Mike Smith debuted the Bum Ditty String Band with John Stocks joining him on guitars, our own Steve Rogers on mandolin, and Scott Hewitt pulling triple-duty as emergency bassist. Their set of jazz and old-time standards kept toes tappin’ and laid the perfect foundation for some impressive jamming throughout. Finally, Mystic Canyon took the stage and showed signs of neither rust nor dust. We fed off a very energetic audience and it felt like that came through in our playing, particularly when a request for Phish set off a fiery second set.